When Melbourne hosted the Olympic Games in 1956 the equestrian sports were held in Stockholm because Australia’s quarantine restrictions prevented the entry of horses for competition. In those days stockmen rode horses and those who rode for pleasure rode like stockmen – the classical riding style and dressage were the province of a small minority in the riding community. The first Australian eventing team managed 4th place and in doing so lit the fuse of the sport back home. One keen 30-year-old observer who had missed out on selection for the team was Graham Parham, known as Kanga for his role as stuntman in the film Kangaroo – and he decided that if Australia was to take this sport seriously South Australians needed to have a three day event. Travelling to Melbourne in 1957 to compete in his first three day event, Kanga resolved to create one in his state. He chose his home town of Gawler, a rather unprepossessing town trapped between its country origins and its city aspirations but with most of the required facilities for the event. 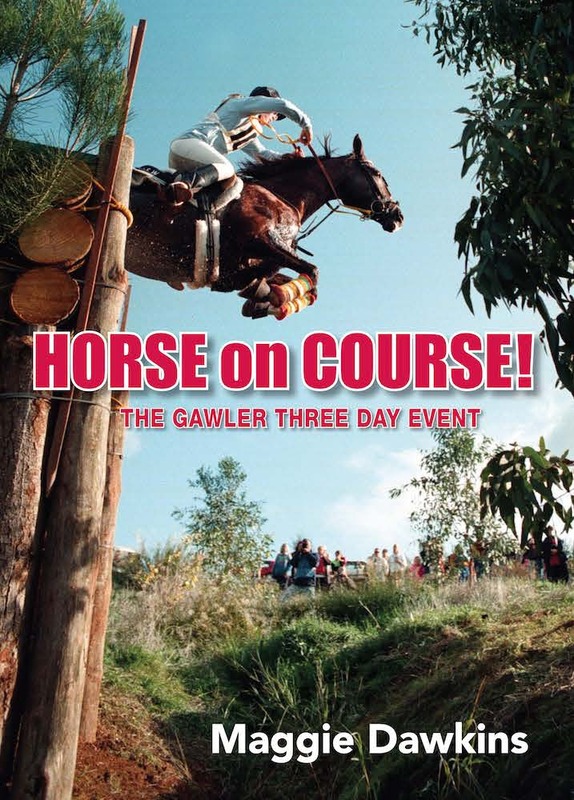 After the required support and funds were marshalled, the first event was run in 1959 and by 1996 Gawler had a formidable reputation, having hosted the Sixth World Three Day Eventing Championships in 1986. This is the story of the event and some of the people – some famous, some slightly infamous and some completely unknown – who contributed to the success of Gawler, not only as a producer of champions but as a centre for learning the art of riding. As well there were times surrounding each event over 37 years for telling yarns and kicking up of heels.